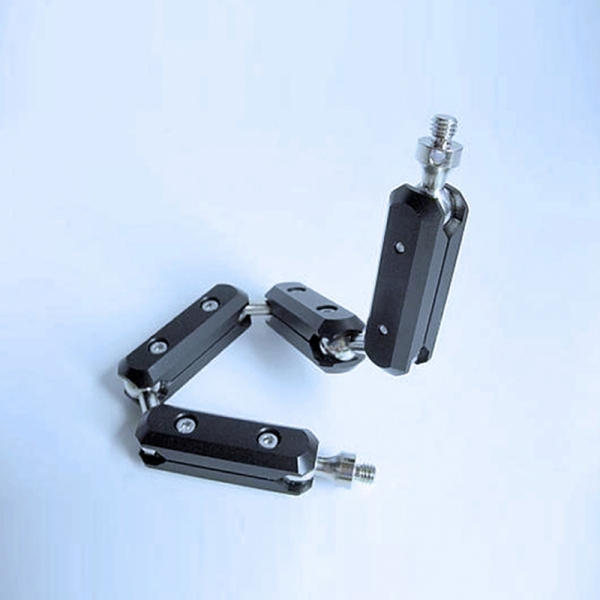 Jointed couplers are the ideal solution when it is necessary to position an accessory or an instrument with precision and stability. They are extremely resistant to vibration and ensure reliable mounting of your tools. They can be equipped with a lighting system, a filter or optical fibers, a comparator, a probe or a camera thanks to a system of flexible adapters designed for this purpose. Thanks to their new and improved design, their positioning is even easier!